Yesterday the pair broke the minimum and started a more serious correction. In the near term, Euro may continue growing up towards the level of 61.8%, where I placed Take Profit on my short term buy order. If later the pair rebounds from this level, the bears may start pushing the price downwards. Otherwise, the bulls rally will continue. 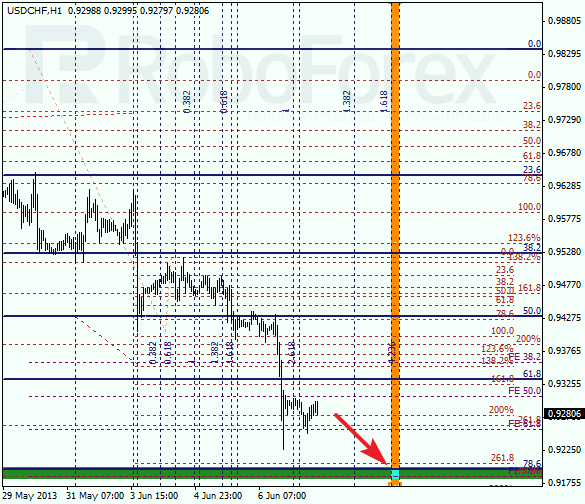 At the H1 chart, a correction is taking place, which is supported by the level of 50%. According to the analysis of the temporary fibo-zones, the target area may be reached in the beginning of the next week. Franc also continues moving downwards; the closest target level for the bears is the level of 78/6%, where there are several more fibo-levels. Most likely, the price will reach a new minimum quite soon. 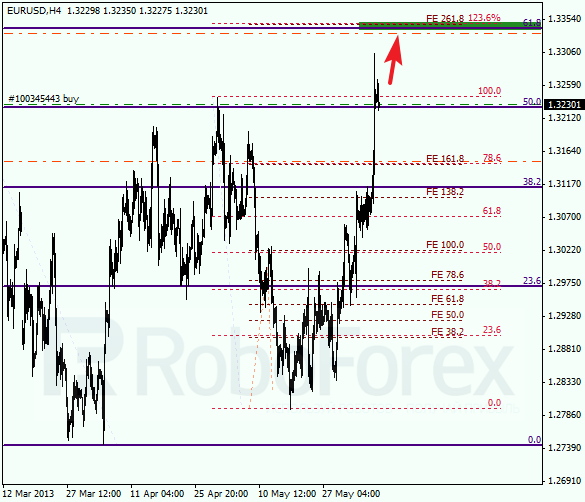 At the H1 chart, the pair is still consolidating. There is a possibility that the pair may continue forming flat pattern for a while. 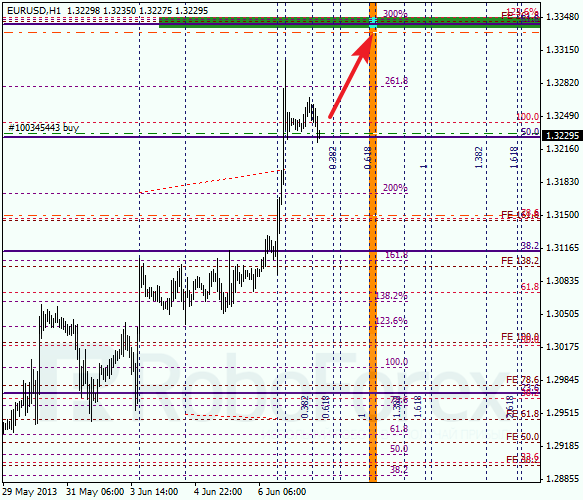 According to the analysis of the temporary fibo-zones, the target area may be reached by next Monday.